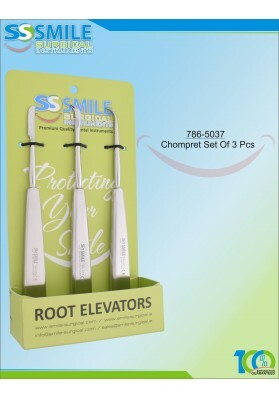 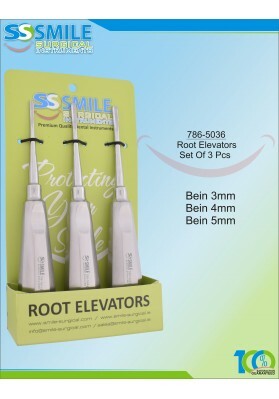 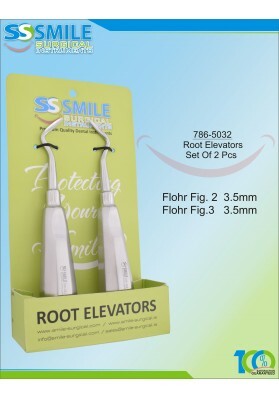 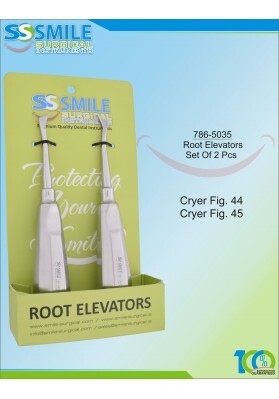 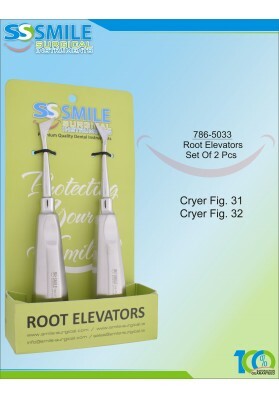 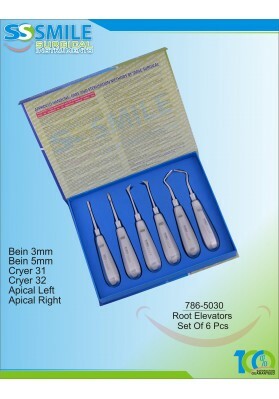 Root Elevator Set Of 3 Pcs..
Root Elevator Set Of 2 Pcs.. 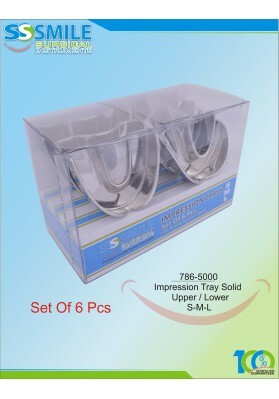 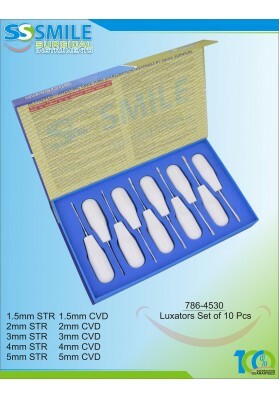 Impression Trays (Regular Pattern) Solid Set of 6 Pieces..
Root Elevators Set Of 6 Pcs..
Luxators Set of 10 Pieces (White Colour Handles)..
Luxators Set of 10 Pieces (Multi Colour Handles)..
Chompret Set Of 3 Pcs.. 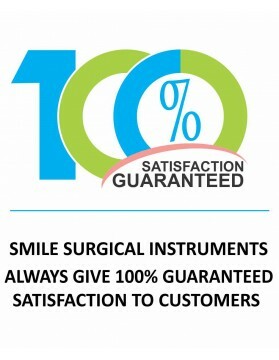 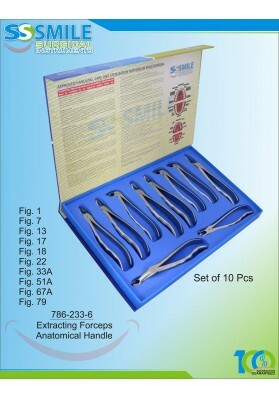 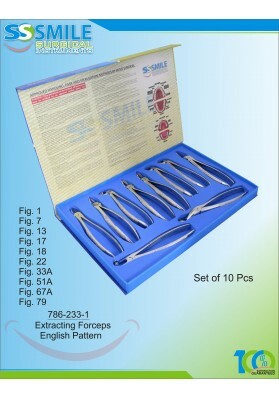 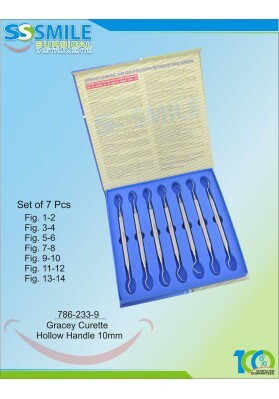 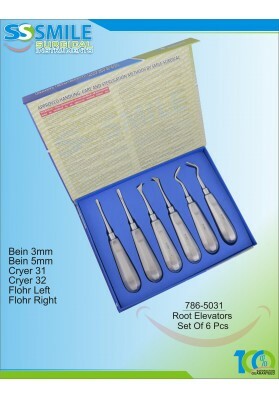 Extracting Forceps English Pattern Set of 10 Pcs..
Gracey Curette Hollow Handle 10mm (Set of 7 Pieces).. 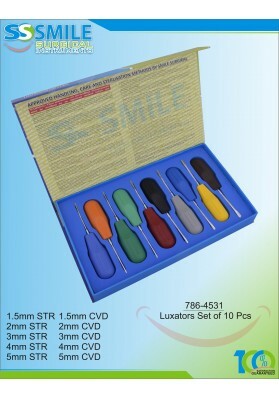 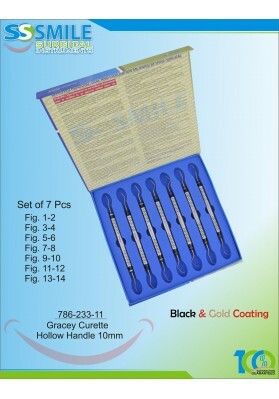 Extracting Forceps Anatomical Handle Set of 10 Pcs..
Gracey Curette Black & Gold Plasma Coated (Set of 7 Pieces).. 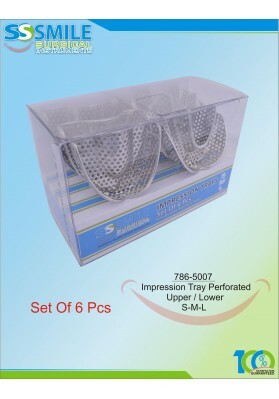 Impression Trays (Regular Pattern) Perforated Set of 6 Pieces..